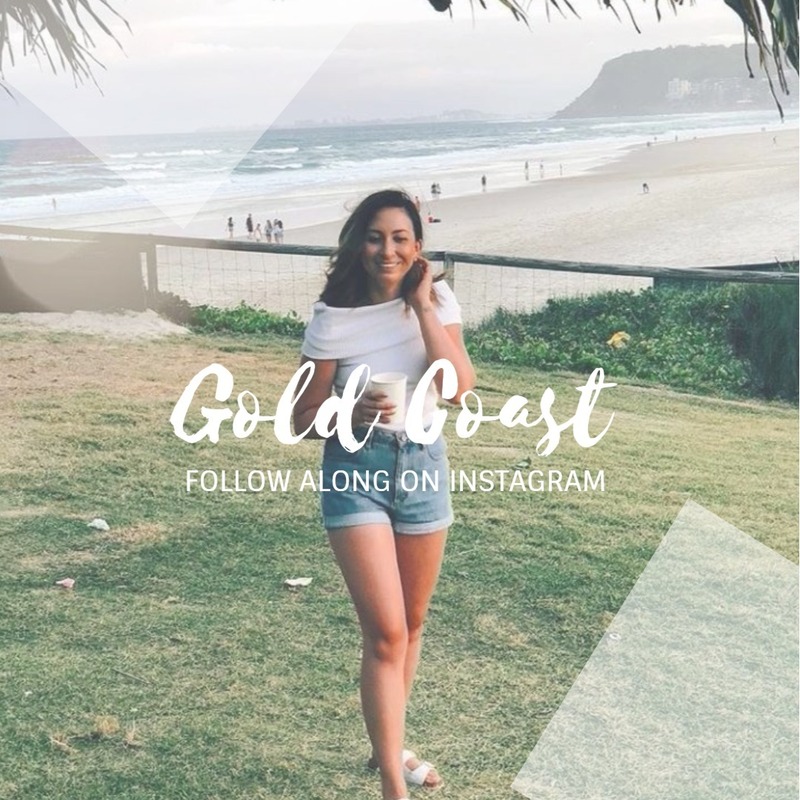 Recently, the wonderful people at Alex Perry Hotel & Apartments invited my partner and I to stay for a weekend – a stay-cation, if you will! 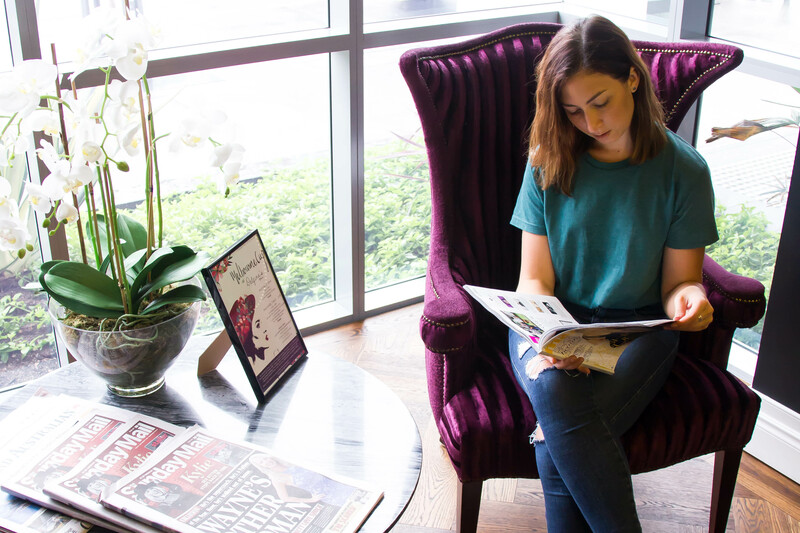 Having been dealing with a bout of PHB (post holiday blues) after our last getaway, I’d been counting down the weeks and hours, eager for a couple of days to unwind and experience the hotel first-hand. 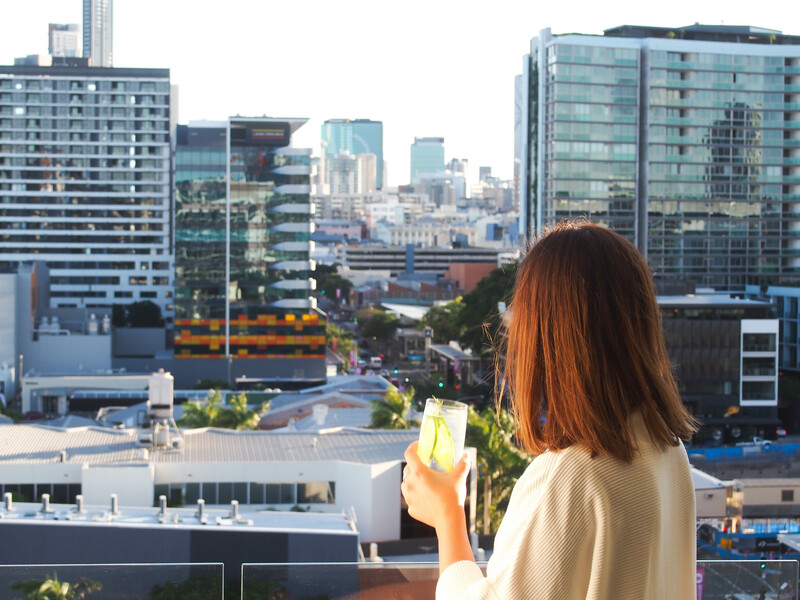 Having opened just a year ago, in October 2015, this hotel is still fairly new to Brisbane’s hotel scene however has already made quite an impression! 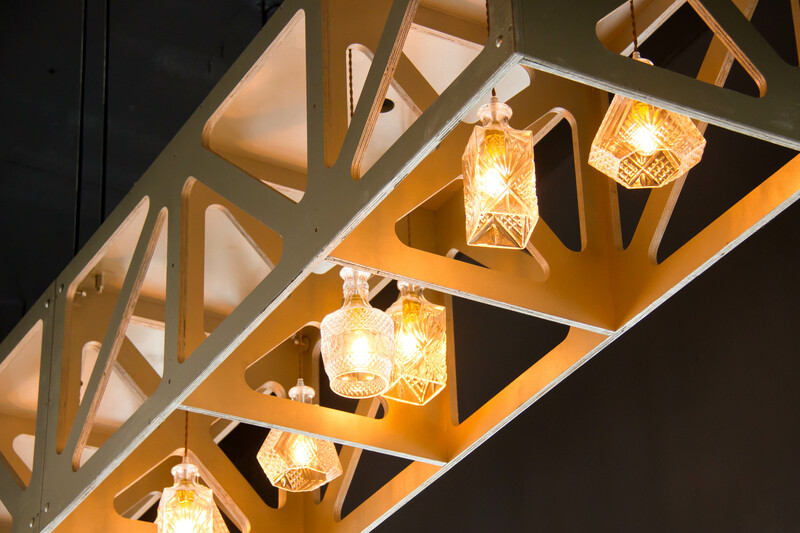 It is where travel, food and fashion collide into one beautiful space with self-catering accommodation perfectly suited for the modern corporate and leisure traveller. 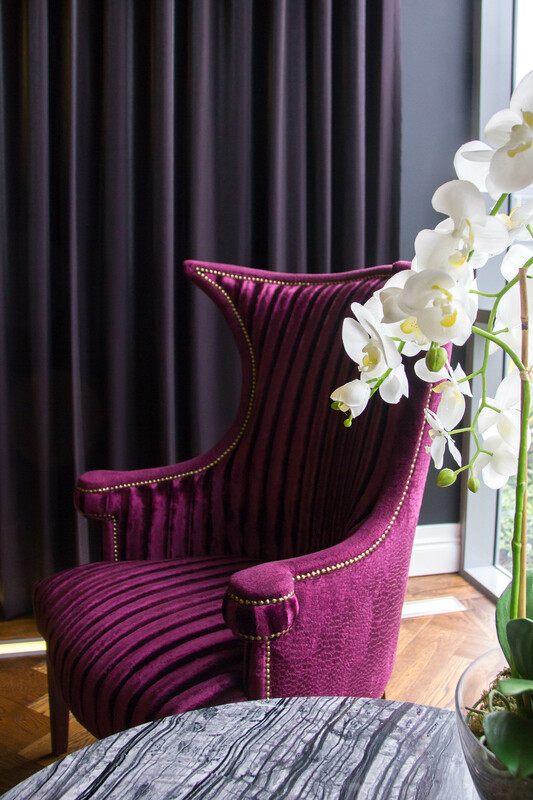 The attention to detail in the style, design and comfortable luxury is so refined and you would expect nothing less with a name such as Alex Perry’s to the brand. 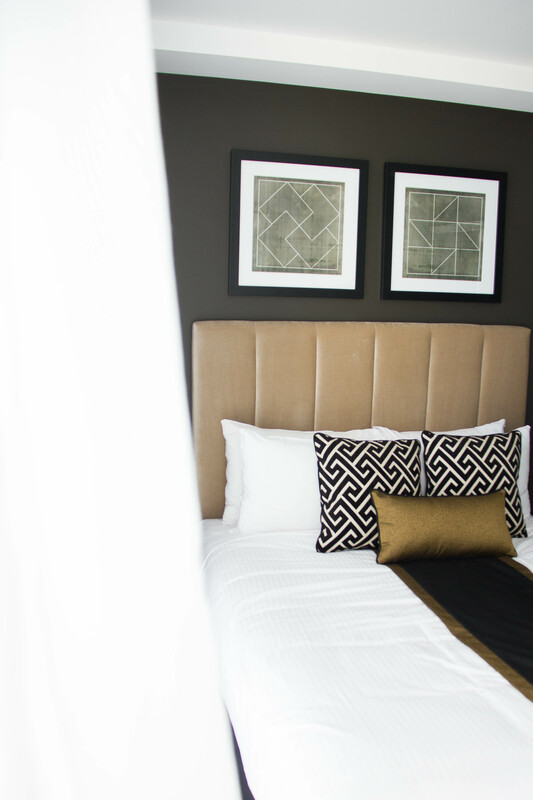 Checking in to our gorgeous one bedroom executive apartment, we immediately fell in love. 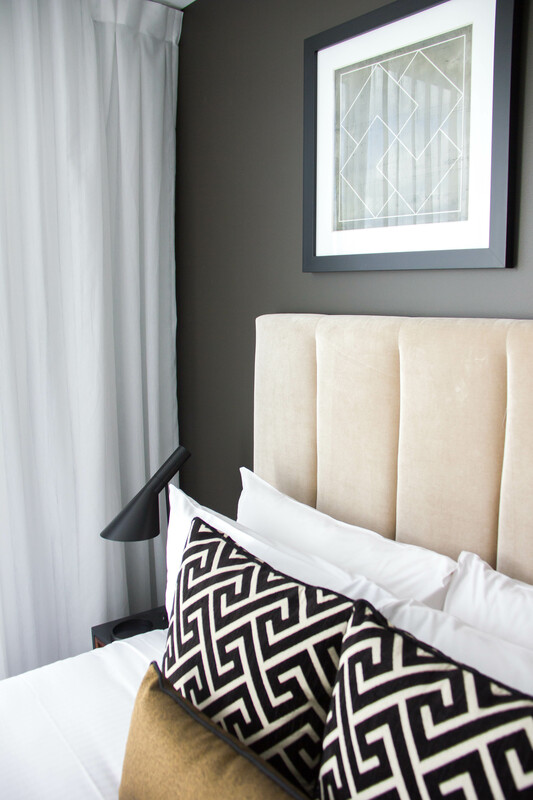 The contrasting tones and soft textures felt at once luxurious yet comfortable – and the view from our balcony out towards Brisbane’s CBD was a wonderful surprise! With a full kitchen at our disposal, we could very well have stayed an entire week! Complete with quality Neff appliances including four element cooker, full-sized fridge, dishwasher, crockery, storage containers a-plenty and Fair Trade certified consumables these apartments feel more like a home away from home. This self-catering kitchen gives you the option of saving some money during your stay and preparing meals in your room, with everything an able cook would need at hand! 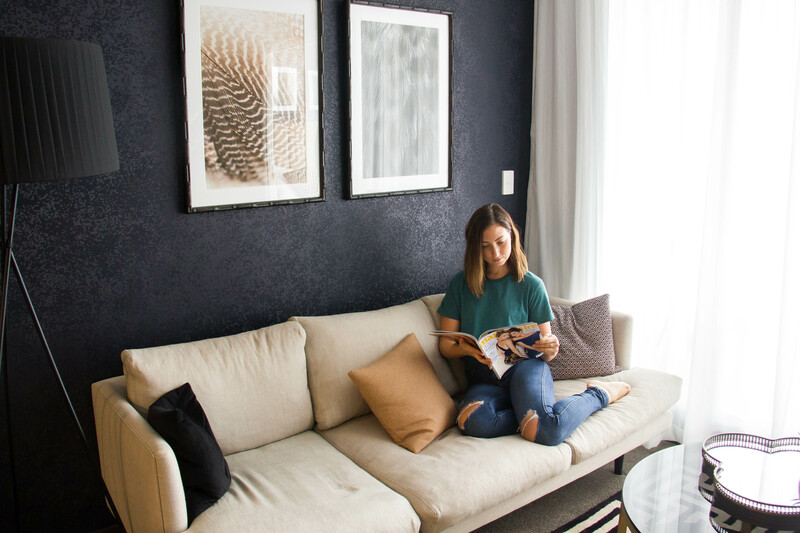 The gorgeous living space provided the perfect place to relax, with a generous couch, recent magazine publications and platinum Foxtel package included (Executive Rooms only). The bathroom not only houses a generous shower, ample storage and a hidden laundry (that even includes it’s own sink! ), it also offers toiletries, lighted make-up mirror and GHD styling tools, meaning there’s no need to panic should you leave these things at home ladies! The apartment also features a small dining setting, study desk, full length mirror and more storage again (this apartment has more storage options than than my own place at home!). The separate bedroom was flooded with natural light through floor to ceiling windows, and features separate access to your private balcony. The ‘Sleep Elite’ queen bed had us lost deep in our slumber – the body conforming gel infused memory foam allowing the both of us to sleep in uninterrupted, divine comfort! When your partner is just over 6 foot, finding a mattress that can distribute the difference in weight and avoid interruptions when one dreamer is restless, is a lucky find. I’m now left feeling guilty back home in my own bed, dreaming about those wonderful nights sleep we had during our stay. On our first night, we dressed in our dining best and ventured downstairs to the restaurant ‘Delfina’s Bistro‘. Created (and named) in memory of the owners grandmother, this space celebrates the simple joy and magic that comes from sharing a meal with your loved ones. The staff are friendly, attentive and made genuinely helpful recommendations from the menu, while the chef sent out delicious works of art from the kitchen for us to marvel at and devour. I’m a big lover of risotto, however prefer to make my own at home never having had one cooked for me that I particularly liked. I decided to break a habit and try my luck, ordering the smoked corn risotto with mushroom ragout and mascarpone. The unique flavour and combination of smokiness and the sweetness of the corn was so beautifully balanced, it was one of the best risottos I’ve had in a long time! Washing it all down with a beautiful Pinot and enjoying a few sides, we left feeling full and content. The restaurant also serves breakfast from 6.30am providing the perfect start to your day! 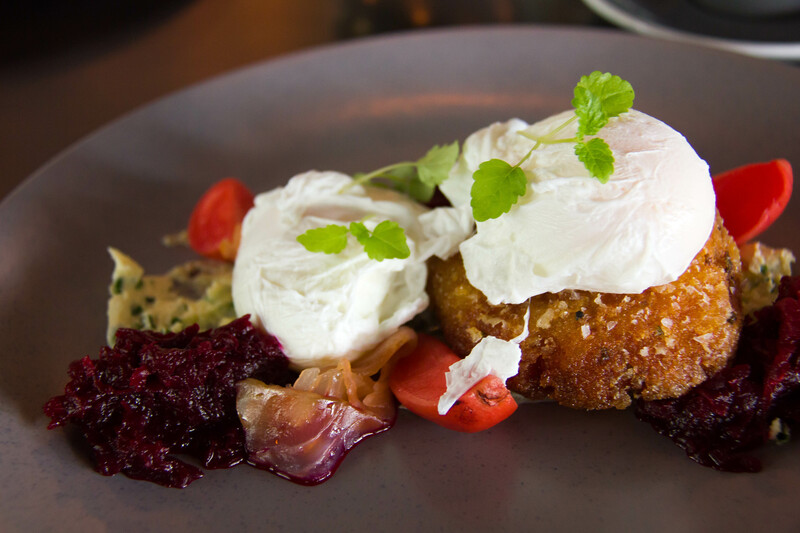 They have a delicious variety of dishes, putting a tasty twist on a few breakfast favourites as well as offering some exciting new options. Their full menu can cater to both vegetarian and gluten free requirements with the kitchen being incredibly accommodating should you find your dietary needs aren’t listed but need to be met. 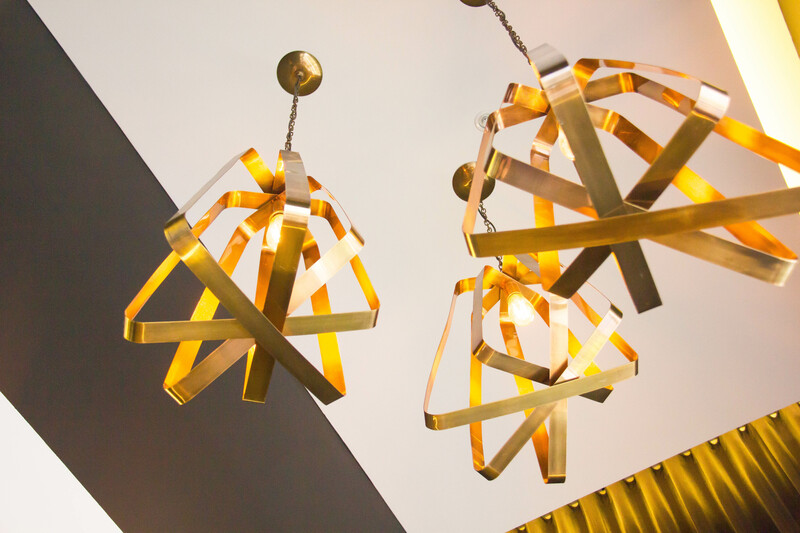 Guests have the option of ordering their food through the hotels’ room service (Delfina’s full menu is displayed in the apartments upstairs) or dining in the restaurant and charging their meals back to their room, should you prefer to pay the one bill at the end of your stay. On the first morning of our stay, after experiencing the areas night-life until the early hours, we woke in a fuzzy haze, with heads a little sore. 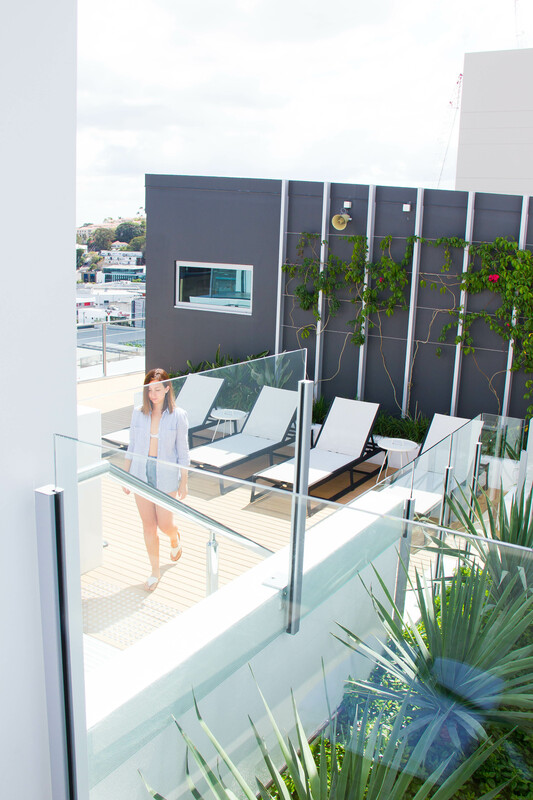 Taking a moment to adjust to the morning light, we put on our bathers and made our way up to the rooftop for a refreshing dip in the pool. 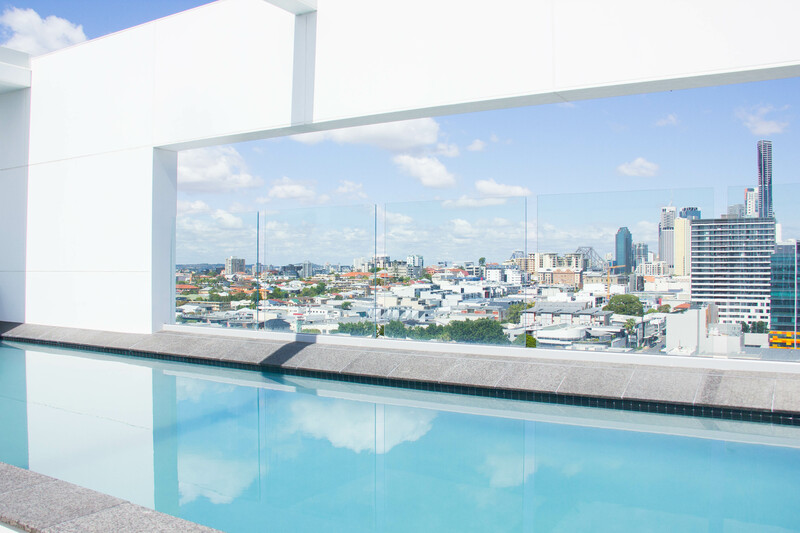 This pool sits in prime position looking out over Fortitude Valley towards the city centre, and despite being on the roof is available to be used year round with moderated temperature control. We were blessed with the perfect morning for a swim and we spent longer than planned floating about in the water – it worked wonders on our weary heads and bodies. I’m not exactly a water baby, but that swim left me wishing I could start every day the same way! 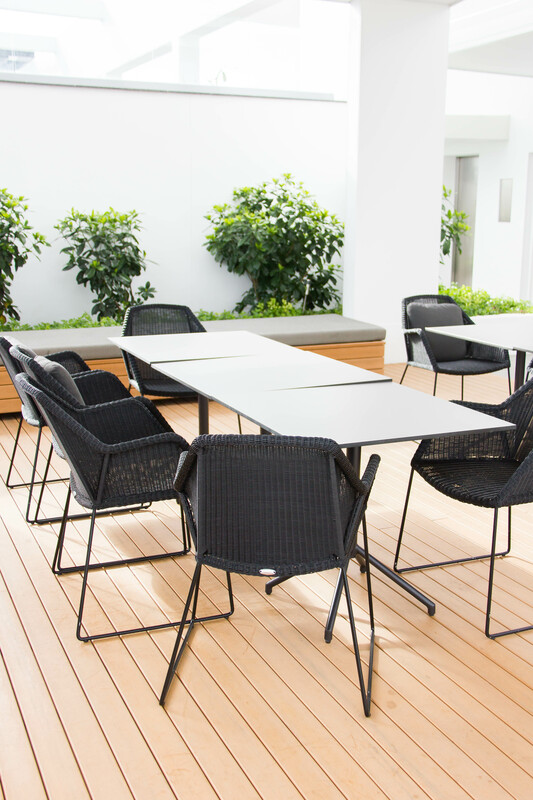 This rooftop space also offers guests full use of a gymnasium with a great selection of equipment on hand if you’re not one to break your fitness routine while away from home. 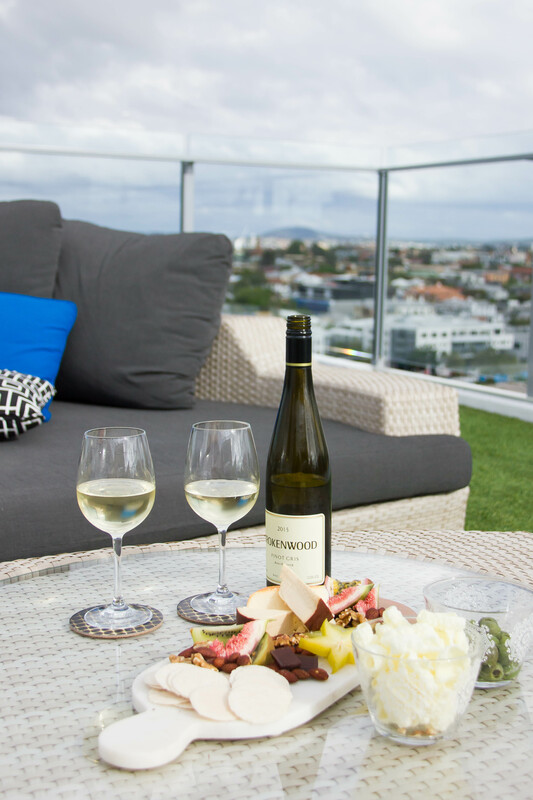 With Queensland’s stunning weather turning it on for the duration of our stay, on our last afternoon we prepared a small platter in our kitchen and took a bottle of wine up to the rooftop – with generous sunbeds, a bbq space and covered dining settings it’s an entertainers dream! 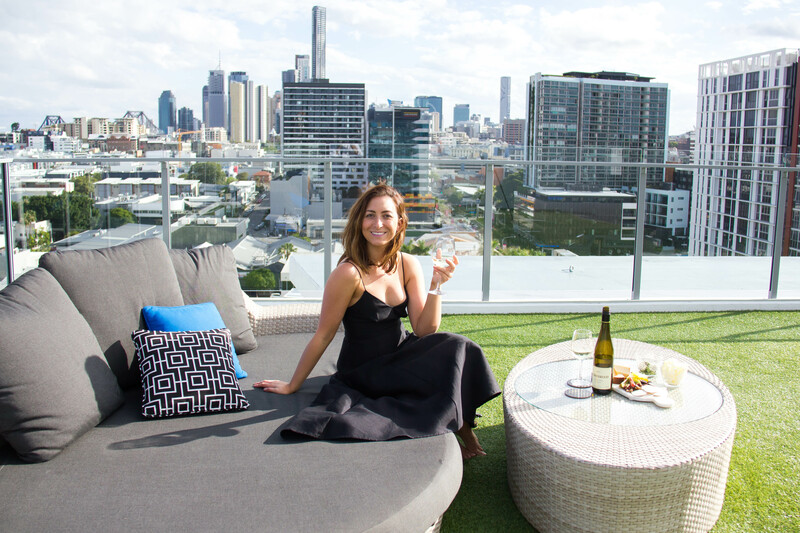 With use of the rooftop exclusively for hotel guests, it’s a space away from the hustle and bustle below and a sanctuary you can escape to for an afternoon of peace as you watch the sun set behind the city skyline. It’s also available for events, with a party of guests during our stay using the space for a 50th birthday celebration! It was up there on the roof that we laid back, toasted to this small but mighty city we call home and bathed in the lingering rays from the sun as our last day came to a close. 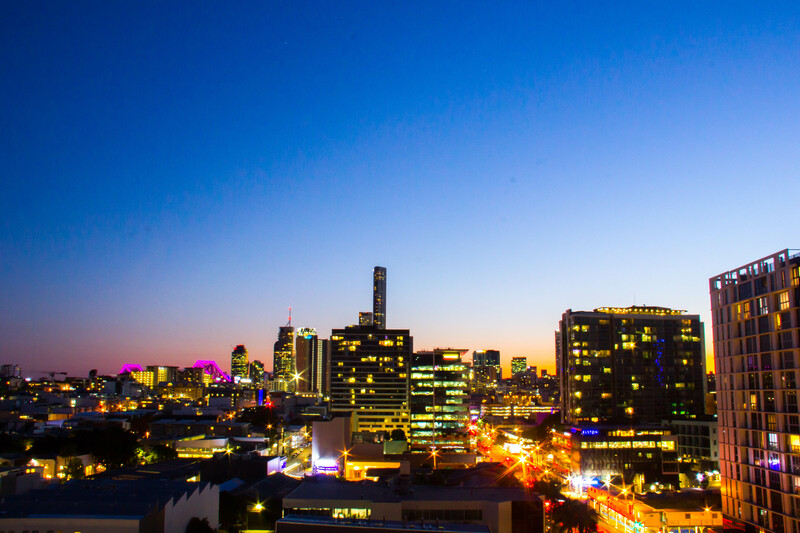 With the hotel located just two streets down from Brisbane’s foremost retail and lifestyle precinct, James Street and just over 2km from the CBD, you have the best of Brisbane’s food and shopping right on your doorstep. We spent a couple of hours window shopping along James Street, enjoyed an early lunch and filled a few bags with fresh produce at the James St Market. 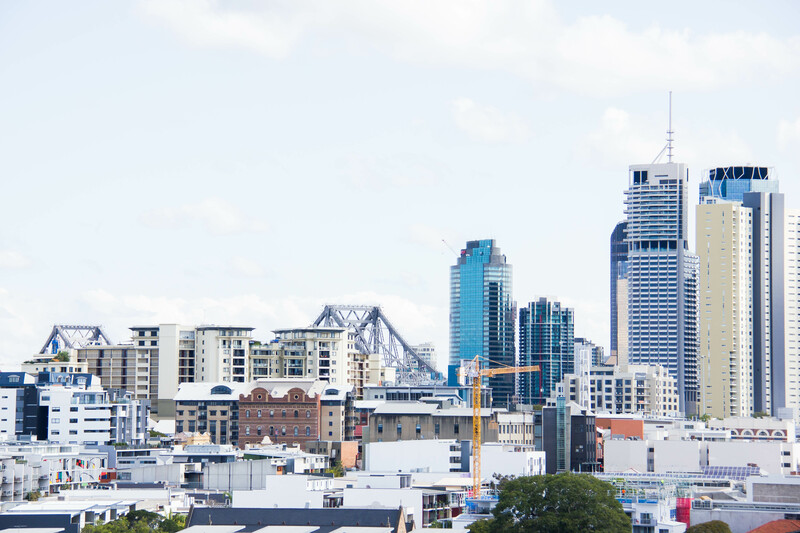 For the corporate traveller, Fortitude Valley is an eclectic mix of hole in the wall bars, pop-up cafes, boutique retailers and the latest dining trends making it the perfect precinct for business, meetings and client entertainment. Overall we had the most wonderful stay and despite only being a short drive from where we lived, we returned home feeling as though we’d had a proper weekend escape! I would highly recommend a stay at Alex Perry Hotel & Apartments particularly for corporate travellers, couples or for a girls weekend away. The service always came with a smile, the facilities and room comforts were well-presented and the little extras incredibly thoughtful (right down to the small gift guests receive in their room on arrival). 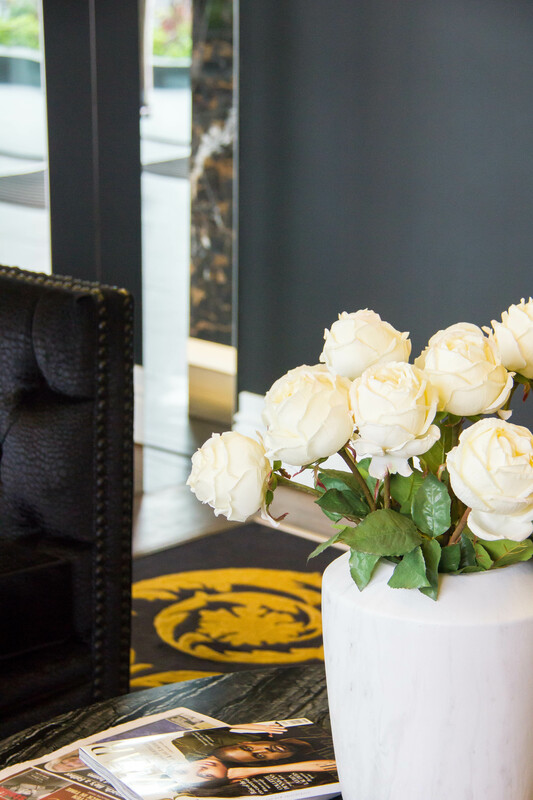 Alex Perry Hotel & Apartments is located at the edge of Brisbane’s Fortitude Valley, just minutes from the CBD and around 20 minutes drive from the airport. This stay was sponsored by the hotel, but all opinions are my own.